How an iconic brand can keep your facility fresh. 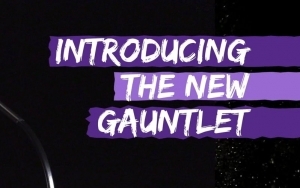 The showstopping Stairmaster 8-Gauntlet is here! How can you refresh your facility without spending the earth? Investing in one key showstopper can get your clients raving about the latest addition, and bringing their friends along to try it too. 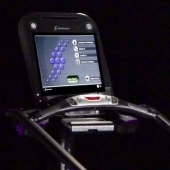 Fitness Innovator, Jay Blahnik, has worked in the fitness industry for over 25 years and believes that of out all the products there are available for getting fitter, healthier and improving functional movement ability, there is only one that has topped his list throughout those 25 years in the business. 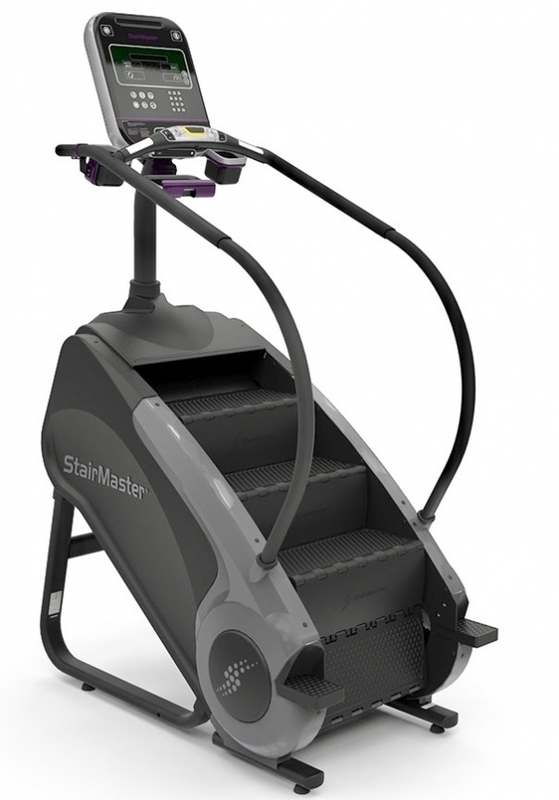 The iconic Stairmaster. 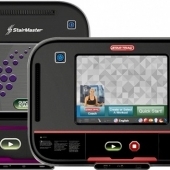 The Stairmaster StepMill and Stairmaster Stepper are legendary products that just keep getting better over time. The latest designs, from the look and feel, to the amazing, new touch screen display, are easily the best in the company’s history. 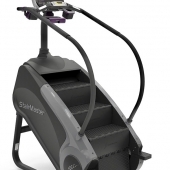 The product features make stair climbing more exciting, more measureable and more motivating. If you’re looking to burn calories, lose weight and strengthen and tone major muscle groups, stair climbing provides astounding results. In fact, climbing stairs is widely regarded as one of the most efficient and effective cardio and strength building workouts you can do. If you’re willing to put in the work, it provides the results! The 8-Gauntlet is the very latest Stairmaster to join the revolution. 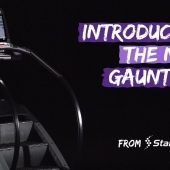 Building on 30 years of experience and proven performance, the Gauntlet provides a superior combination of cardio and strength training in the most comfortable design ever. 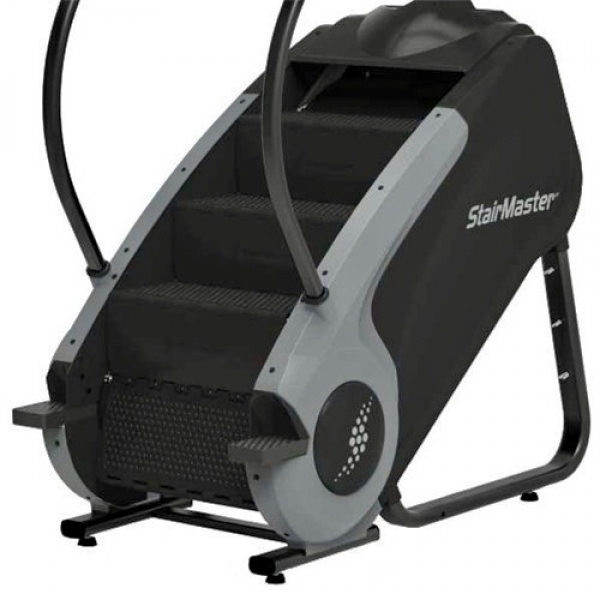 The machine features a deeper, wider step surface with durable, rust-free polypropylene construction. 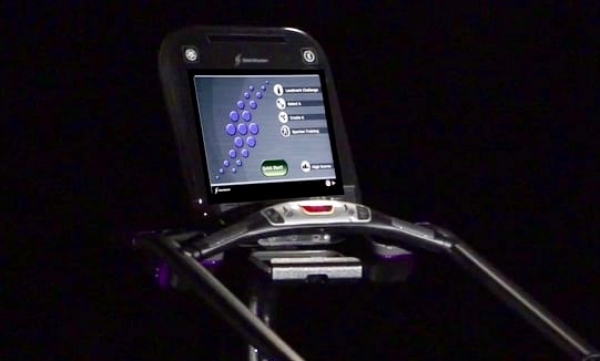 It is now available with all three smart, affordable, flexible, OpenHub™ LCD console options, offering users the thrill of climbing world-famous landmarks, such as The Eiffel Tower, and The Statue of Liberty, and taking part in Spartan Training races. 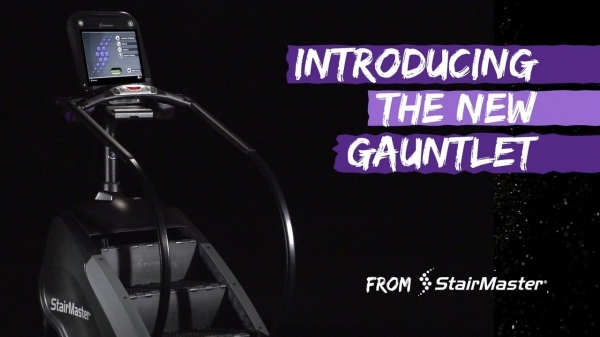 The Gauntlet’s combination of quality and innovation delivers a workout that’s head and shoulders above anything else in the gym.